When you review your monthly electric bill from the utility, do you ever wonder how the electrical usage all breaks down to individual loads? Sure, you know that conventional air conditioners and kitchen appliances are the largest offenders in gobbling up kWh, but what if you could tell what various electrical devices in your house were up to? How much power is being used by the smart TV you just turned off? Do you really need 150 watt bulbs in the basement fixtures? How about knowing when the garage door opens or when the dehumidifier is running, what is the usage is there? Well now you can, and so much more. One such product that is providing this capability to the homeowner is manufactured and distributed by a company named Sense. 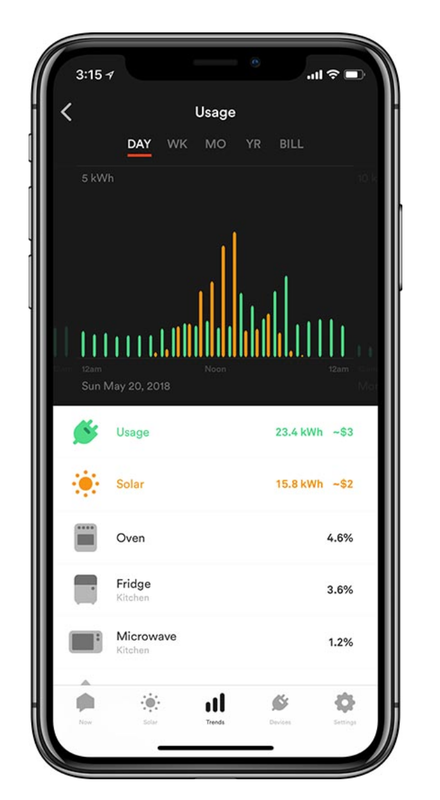 The Sense home energy monitor is designed to allow homeowners to monitor their energy use and solar production (where applicable) by the day, week, month, or billing cycle and receive alerts notifying them if they are on track to meet individual energy usage goals personally designed by the homeowner. Sense is an energy monitor that installs in your electrical panel with two clamp-on current sensors around the mains and a 240V breaker that supplies power to the Sense monitor. Utilizing the two clamp-on current sensors, the Sense Home Energy Monitor takes current and voltage measurements 1 million times every second. From there, Sense looks at changes in magnitude, phase, and frequency to derive the electrical signatures of individual devices. Within the first week of installation, Sense should be able to find some common devices that cycle on and off frequently, like your refrigerator or microwave. Some devices will take longer to identify, until the algorithms have seen enough contextual data to reliably detect them. Energy efficiency is the first of many benefits that this new technology could offer customers, as well as energy service providers such as grid operators, distribution utilities, and contractors. Earlier this year, Efficiency Vermont in conjunction with Sense, launched the first phase of a year-long pilot program where more than 200 Vermont households had the Sense power monitoring system installed in their homes. More on the particulars later. I had the opportunity to visit the home of Karen Glitman, Executive Director for Efficiency Vermont, and talk with executives at both Efficiency Vermont and Sense. Karen’s home was included in the pilot program for the Sense system. I was first interested in understanding how Sense distinguishes between different power usages in the home. Sense CEO Mike Phillips explained that, initially, Sense will pick up on the electrical signals of large induction motors, such as refrigerators and the like. The Alternating Current frequency makes them prime candidates for early detection and identification. A toaster works with the use of a resistive element, say 1200 watts. But are there other 1200-watt resistive elements at work in your home? A hair drier perhaps. They will “report back” differently, and uniformly, over time, allowing them to be known by their distinct electrical signatures. Earlier in the article I mentioned how the Sense monitor is taking current and voltage measurements 1 million times per second. This helps greatly with the ability to learn the distinct electrical signatures. For instance, measured at low frequency, an oven and a clothes dryer have very similar pattern waveforms. But when measured at high frequency, they are indeed uniquely different. Sense has been available to the general public now for a little over two years, directly from the company website as well as through Amazon.com. Earlier this year, Sense introduced a new feature called Community Names which harnesses user inputs, allowing the community to see what other users have named devices with similar power signatures. Each name is accompanied by a percentage that roughly represents how many other Sense users have picked that device name. A device can be quickly renamed by either selecting it from this list or giving it a custom name. It can also be marked as a guess. Some user input has gone so far as to include the make and model of the appliance or device. This provides even more accurately tracked information to the ever-growing database of items being monitored. 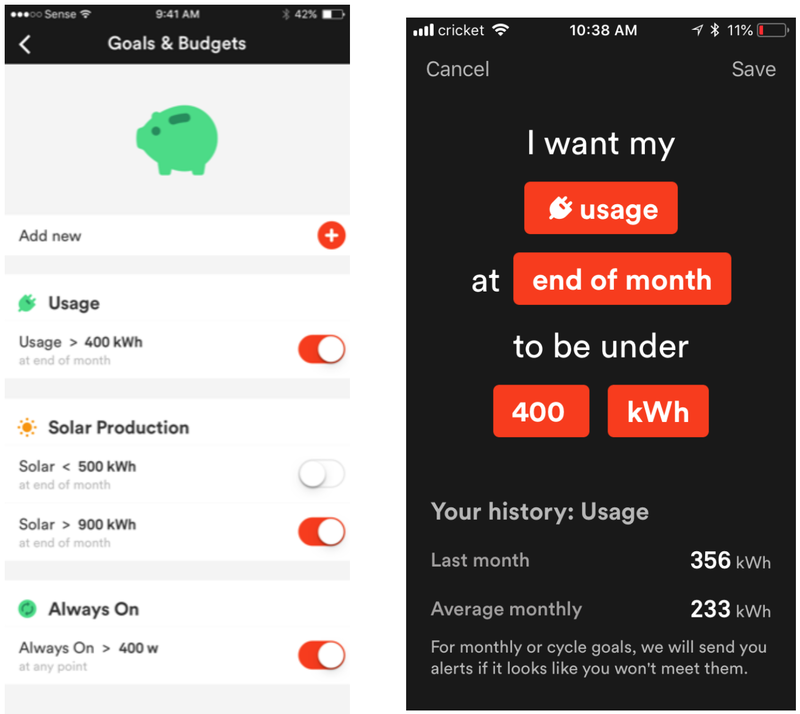 In the app, individual users can set energy usage goals. For instance, you could set a goal to maintain average daily home usage at or below 20 kWh. Alerts can be programmed, also. For instance, you might program the app to alert you if the basement light is left on for more than 2 minutes or an electric stove has been left on for more than 2 hours. Sense is still developing the capability to determine if there is a fault somewhere in your home. For instance, an electrical line to an outlet or switch buried in the wall could be compromised for whatever reason and has the potential to cause a fire in the home. Your refrigerator power usage, which has been stable for months, could start showing signs of fluctuation. Do you just need to clean the dust out of the condenser coils or is it a larger problem on the verge of occurring? These capabilities can help not only to lower your electricity usage but keep you safe in your home. Sense is a user-friendly energy monitoring product, engaging Mr. and Mrs. Homeowner with what they are concerned about, and drawing them back to energy consumption. The technology is being constantly evolved by and made more user friendly by and for said consumer. What a concept! On the market two years, you say? Used and constantly updated databases and power generation provided by the ever-growing community of owners, you say? So, why the pilot trial in Vermont? 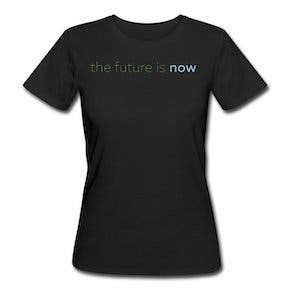 How is it any different than what has been done to date by general online purchasers? Look back at the title of this article: What exactly is Behavioral Efficiency? Behavioral Efficiency is not a term coined by the folks at Efficiency Vermont, but they have goals to save energy based upon customers’ behaviors. Homeowners and renters can learn more about their energy usage through programs such as the Sense pilot and choose to make changes to their lifestyle. 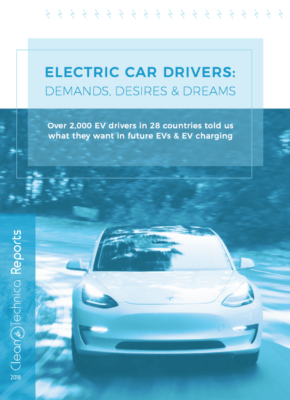 Customers gain insights that can drive their electrical appliance and device purchases to reduce their own energy consumption, thereby lowering their own cost of energy and reducing the overall load required by the grid providing that energy. Efficiency Vermont was created in 1999 by the Vermont Legislature and the Vermont Public Utility Commission. The following year, it began offering services to help reduce energy costs for Vermonters and protect the environment. The organization is Vermont’s objective advisor on saving energy through efficiency, which is the most affordable, local fuel source. In every county of the state, they provide Vermonters with technical services and financial support to improve their homes, businesses, and communities. They also train and partner with local providers of efficient goods and services so that all Vermonters can easily find the efficiency resources they need. In 2017 alone, they helped almost 122,000 Vermonters save energy. That may not sound like a lot, but in tiny Vermont, that is almost 20% of the total 2017 population. Those Vermonters will save over $187 million over the lifetime of their efficient equipment and buildings. 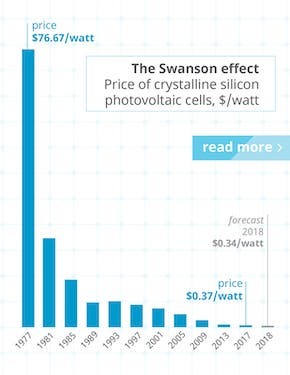 Every $1.00 invested in energy efficiency in 2017 was equal to $2.10 saved. You see, Efficiency Vermont has a very strong and committed team of folks who get the word out far and wide when energy efficiency products and services become available. Efficiency Vermont tests products and services and develops programs (such as the Sense pilot program) to make them available to its customers. They had approximately 400 requests for inclusion into the first of two 200-unit Sense pilot programs in the first 36 hours of it being announced. Installations began in December 2017. These 200 households got the Sense power monitoring system supplied and installed at no charge to them. They also gained immediate access to the ever-growing Sense family of users and all the support and guidance from Efficiency Vermont to maximize the potential of the Sense unit now in their home. EV developed an engagement campaign survey consisting of several emails and surveys sent to the pilot trial users to fill out over the course of the trial. This feedback is being used by Sense for further development as well as to streamline the process for the second round of the pilot program. In all, 387 units were distributed to home and apartment dwellers around the state. The pilot will last until the end of 2018. If the overall results are positive, Efficiency Vermont will create a behavioral efficiency program starting as early as 2019. After the first 6 months, the findings from pilot households indicated new electric savings potential of more than 8 percent, which, if achieved annually, would lead to an average cost savings of $100 per household. To learn more about the results of the first six months of the trial, you can read the Sense/Efficiency Vermont joint press release. To learn more about Sense, go to Sense.com. They have a great deal of information over and above what I was able to cover here. If you are lucky enough to be a Vermont state resident and want to learn more about Efficiency Vermont and all it has to offer, go to efficiencyvermont.com. If you live outside of Vermont, you can contact your local utility to see if programs such as those offered by Efficiency Vermont are available to you.